Relax at the beautiful Kwa Maritane Bush Lodge in the Pilansberg Game Reserve. 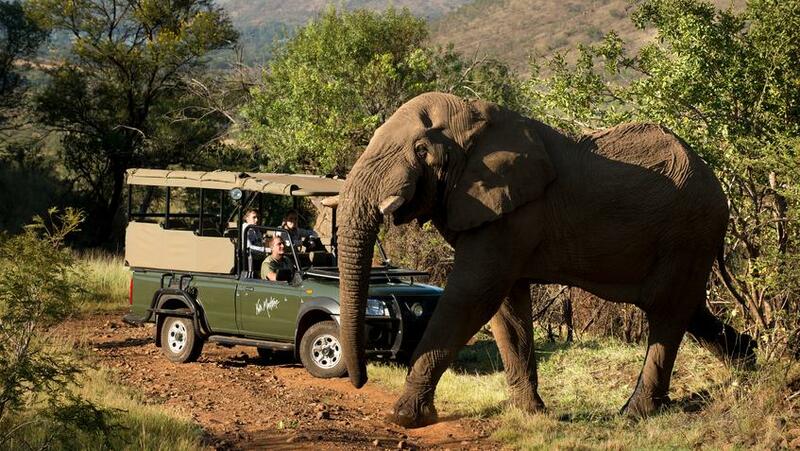 This tour departs from Johannesburg and visits the Pilanesberg game reserve which lies inside a 1300 million-year- old volcanic complex and offers a wide variety of beautiful landscapes. Game drives are inluded in this area which is home to a great diversity of plants and animals, including the Big 5, wild dog and 360 species of birds. Another advantage is that the area is a malaria free region.